Nassau: Patrick Cantlay and Patrick Reed shot a matching seven-under 65 to share the lead after the opening day of the Hero World Challenge golf tournament. 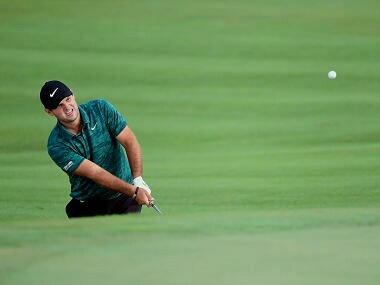 Cantlay, who has never played the Albany course and got an invite for the event barely two weeks ago, produced a flawless card, while Reed, who won the Masters this year, had eight birdies against one bogey late Thursday evening. They were three shots clear of the field as Henrik Stenson, who has been hit by injuries this season, shared the third place with Dustin Johnson, who was dislodged from the World No 1 spot in October. They carded four-under 68 each. South African born Englishman, Justin Rose, who has made the Bahamas his home, comes into this week needing to finish Tied-third or better to regain his World No 1 spot, which is currently in possession of the absent Brooks Koepka. Rose had a superb eagle on par-5 11th, where he smashed his wood from the fairway to two feet off the pin and tapped it in. He double-bogeyed the next hole, but still ended Tied-seventh alongside another former World No 1 Justin Thomas and Bryson DeChambeau, winner of four events in 2018. The trio shot 70 apiece. 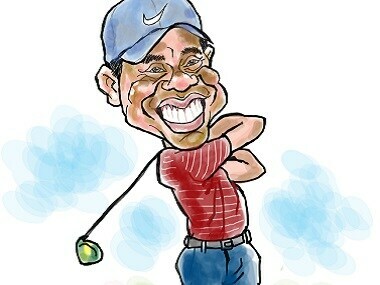 Things, however, did not go as well for the tournament host, Tiger Woods, who this week last year began his amazing comeback. Woods drove brilliantly finding all but one of the fairways but did not score well in his one-over 73, one of the only three over-par scores of the day in the 18-man elite field. Despite the presence of an elite field of nine Major winners, five players who have held World No 1 ranking at some point, the focus expectedly was on Woods, playing alongside Justin Thomas. Woods bogeyed second and fifth to go two-over but back-to-back birdies on sixth and seventh helped him get back to even par. Four pars later, he ran into major problems on the Par-3 12th. He went into the left rough off the tee and his chip rolled back down the slope and past his feet and trickled into the water. That ended in a six, a triple bogey for Woods. Woods also had four birdies, but the crippling triple ruined his day completely. "I didn't quite feel comfortable with my game today even though I drove it great. It was definitely reflective in my scoring today, I didn't quite feel comfortable and just didn't quite hit the ball close enough or give myself a lot of looks at it," Woods said. "Well, I'm feeling a lot better (recovering from cold and cough) today, for sure. It's been a long last week or so. At least this tournament's now started and we've got it underway, now I'm back into the rhythm of playing again, which is nice.